Tommy Hilfiger is a pinnacle of fashion and design. 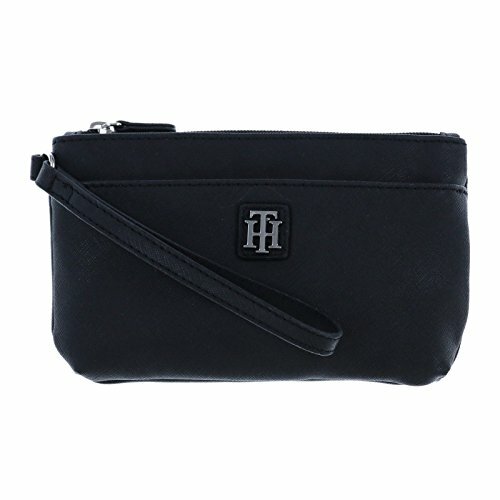 This wristlet has crossgrain detailing and a silver tone TH monogram on the front. Stay fashionable this season with Tommy Hilfiger. Approximate Measurements: 7.5" x 5" x 1"